Nicole's Needlework: Strawberry House Finished! 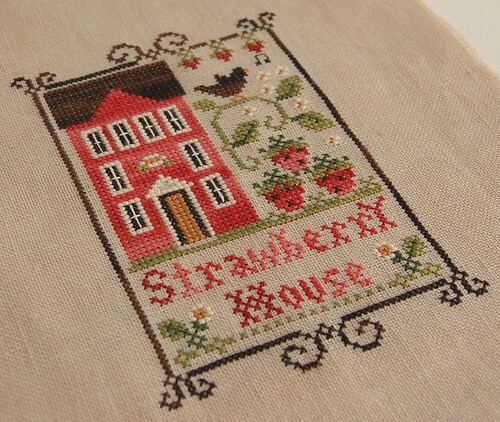 Little House Needleworks "Strawberry House"
In other news.... I'm a little worried about my friend Debby (Stitch Wizard). She lives outside of Houston and I haven't heard from her since before Hurricane Ike made landfall. I truly hope she is doing ok! I'm guessing she doesn't have power and I hope that is the extent of her troubles right now! Debby, you are in my thoughts and prayers - I hope to hear from you soon!! Really cute finish Nicole :) The colors are so bright and cheery. We have friends in Houston area too and haven't heard anything. so hopefully it is just a power outage. I am a little worried for Debby too...I hope she is safe and sound and hope to see her blog updated soon. Your Strawberry House looks gorgeous! It is outstanding! It turned out really cute Nicole! 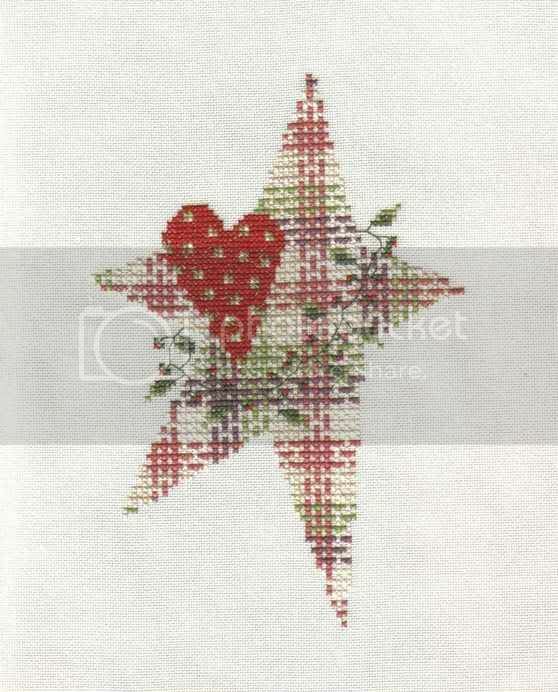 I like that you stitched it plain, rather than embellished too. I hope your friend is safe. I heard a lot of people have no phones or electricity. That looks lovely Nicole. Your stitching is always so neat and pretty. Wow!! You are such a fast stitcher!!!!! This is beautiful!!! I hope your friend is okey, and hopefully it's just the power outage. Nice finish! I like it 'plain' too. No need to doll it up. Hope your friend is ok. I have family in the area and they are just without power but ok. Hope it proves the same for your friend. adorable finish Nichole!!! I love it as is!! Nicole, what a lovely piece of stitching. You are so fast!! Beautiful and great work, Nicole! Strawberry House looks fantastic ! Hope your friend is okay. Beautiful as always Nicole. You are such a fast stitcher. I will keep you friend and all those that were in the path of IKE in my thoughts. I hope you hear from her soon. What a great stitch! It looks wonderful! Hopefully Debby is alright! My thoughts and prayers are with her! I have not heard from Debbie either yet since the hurricane and looked here to see if she had left a comment as I am concerned too!! I guess they still will not have any power or too much clearing up do before going on the computer, maybe ?? I hope all is OK with them !! that's absolutely beautiful! great job!!! Your finish is lovely. Congrats. I too hope Debby will be able to make contact soon. How on earth do you stitch so fast??!!! :) Please tell me that you spend hours and hours a day stitching, or I might have to kill myself. Kidding. 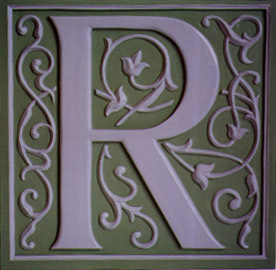 This is a super cute finish, congrats. And so glad you decided to go with the white on your Celtic Autumn piece! Strawberry House looks really great, I love your photo it really showcases the colors. Best wishes to your friend, please let us know when you hear from her.